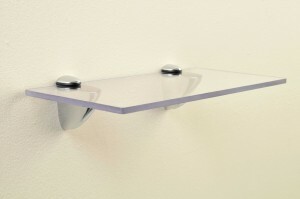 These unbreakable shelves are manufactured from Clear Polycarbonate with a scratch resistant coating. The shelf is 6mm thick with radius corners and smooth polished edges. The brackets are chrome plated and have a 10kg load capacity per pair. 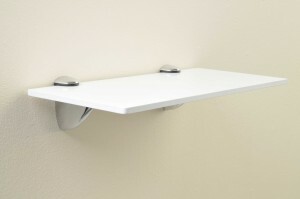 These unbreakable shelves are manufactured from White PVC.